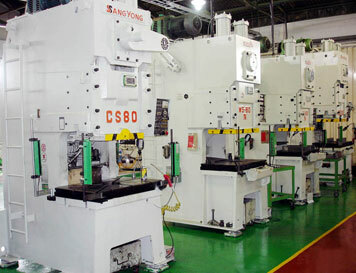 Realizing an unmanned operation with a mass production system through atomization and keeping up pace with the manufacturing environment. 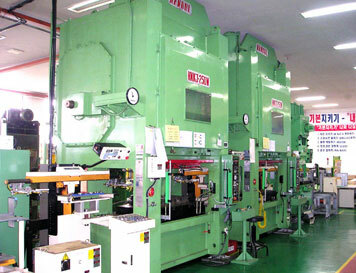 A line that is designed to operate 1 person 2 facilities for the manufacture of a variety of gaskets and is capable of high-speed mass production. Proud of a high efficiency. 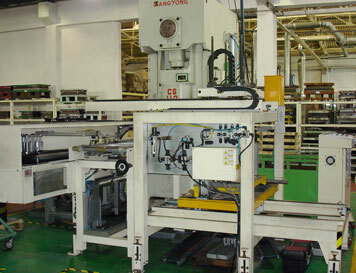 Unmanned facilities for a blanking process of non-asbestos head gasket. 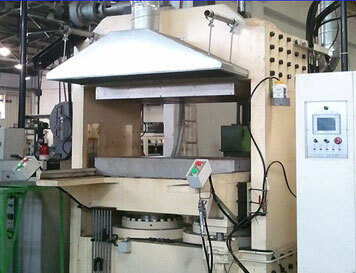 Safe and easy for a mass production with a high reliability. Pulling, compression and compression & recovery of materials are measured to confirm the material properties of the design. 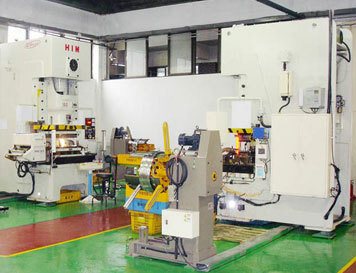 Producing rubber gaskets that are used for various purposes directly with our own mixing technology. Best quality maintenance with Injection M / C.